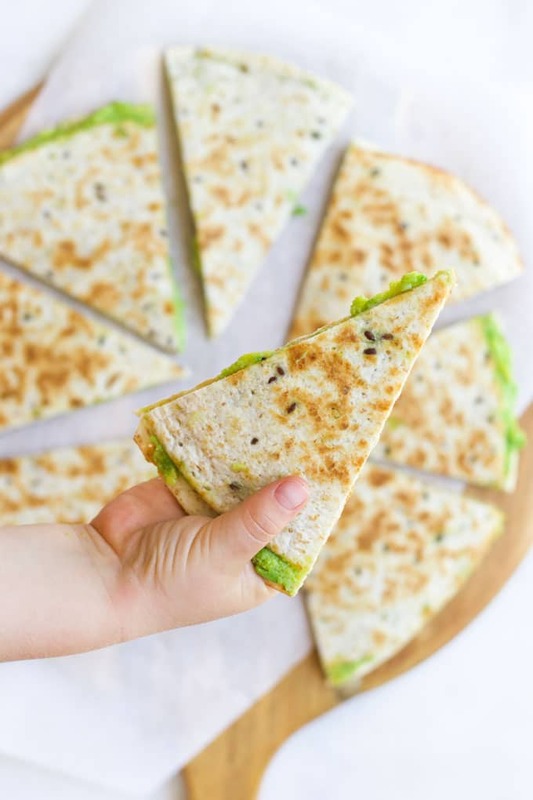 Crispy on the outside and deliciously creamy in the inside, these Avocado Quesadillas make a tasty lunch that your kids are sure to love! 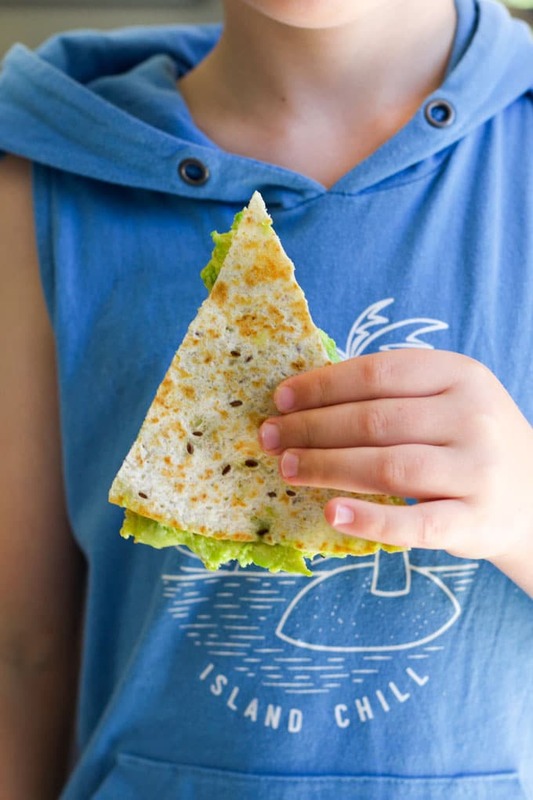 The award for “most requested lunch” in our house has to go to these Avocado Quesadillas. I have been making them for years now and they still remain a firm favourite. 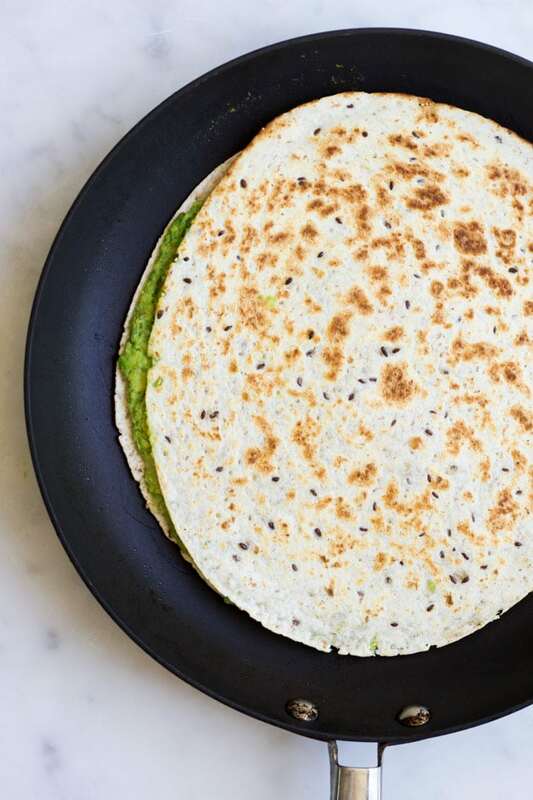 You can make these Avocado Quesadillas using two different methods. 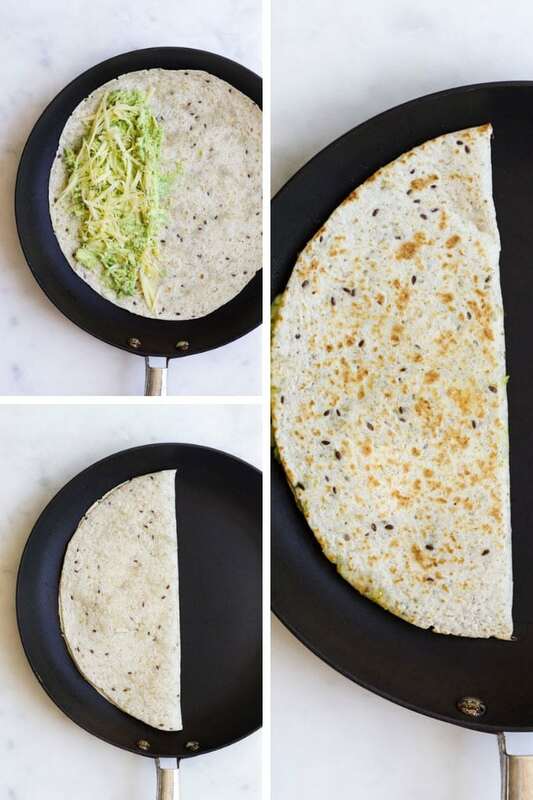 Method 2 – Using one tortilla wrap and folding. When feeding the whole family I always use method 1. This saves me time, which is always a good thing. During the week, when I only have my youngest at home, I use method 2. One tortilla is enough for us both as I usually serve it alongside some salad. Method 2 is also great if you are adding extra filling as it is much easier to flip. 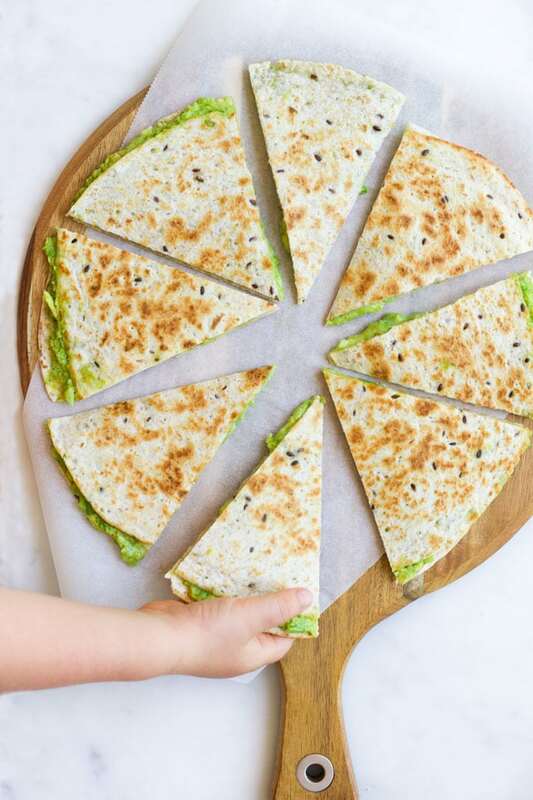 Both methods work well when making plain avocado and cheese quesadillas. The avocado sticks well to the tortilla making it easy to handle. Cook for 2-3 mins (or until golden), carefully flip using a fish slice/spatula and cook for a further 2-3 min. Cook for 2-3 mins (or until golden), flip and cook for a further 2-3 mins. Can I omit/use a different cheese? You can also add some spices, herbs, garlic, onion for extra flavour. Have you dried these Quesadillas? I love hearing your feedback, please rate and leave a comment below or tag me on Instagram. Tortilla wraps filled with avocado and cheese and lightly pan-fried. Sprinkle half of the cheese on one of the tortilla wraps. 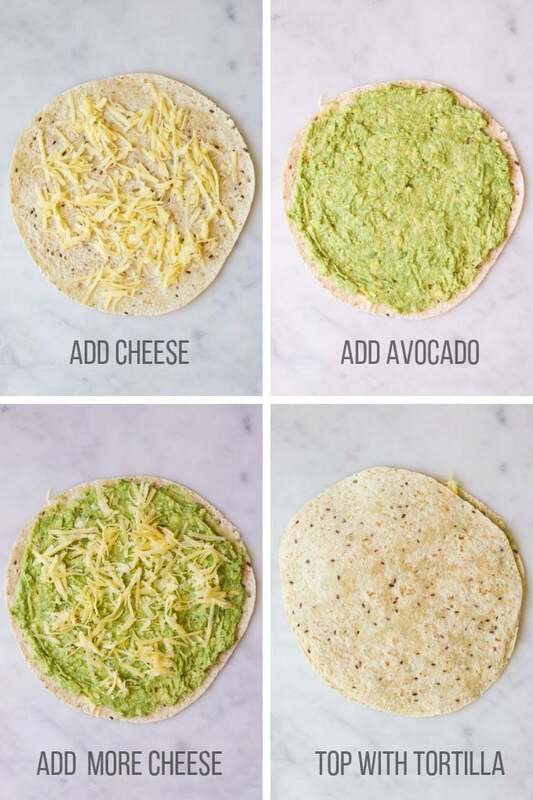 Add the mashed avocado and spread to the edges. Sprinkle on the remaining cheese and then add the second tortilla on top. Using a spatula, gently flip the quesadilla and cook for a further 2-3 mins. I used a non-stick pan and required no oil. Depending on your pan, you may need a light spray of oil. Be careful not to use too much as this can make the tortilla soggy. You can also make this with one tortilla, see above post for more details. Why not try adding chopped tomato, black beans, corn, diced chicken, roasted capsicum or some left over chilli? I think these are my favourites now too! Really tasty and super easy to make. Still making these weekly after having them at your house, Lochie loves them as you could tell!